On Sunday, November 26, you are invited to join us for some digging, cutting, pruning, planting, saving and destroying. It’s a chance to remake an image of such a strongly cast garden that its formality seems immovable. But move it, we will. 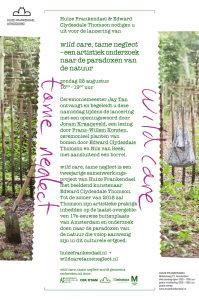 A team of gardeners will come to Huize Frankendael and dig out every plant from the historical garden. It will be ripped up and renewed, without changing anything to the historical design. 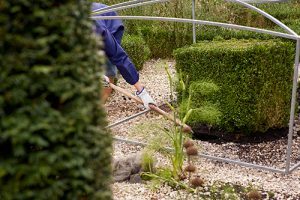 It came as a surprise to us; gently making the garden ready for winter might have made more sense. So what to do on the day before the storm? 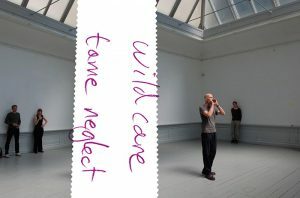 wild care tame neglect is, among many things, an investigation into the possible similarities of creating and presenting visual art with the art of gardening: intensive versus extensive maintenance, mending things, cleaning up, anticipating the changing conditions…this metaphor calls for a response to the activities at hand. Perhaps there is no use in getting too sentimental, or to commemorate what was. The garden remains, after all, a reconstruction of what it may have looked like centuries ago. Is it the layout that makes the garden, or the way the plants inhabit it? We’ve decided to treat this last day with iconoclasm as well as conservation. What does it feel like to cut a topiary bush out of such a perfectly formed picture? What to do with all these, soon to be destroyed plants? Should we keep them, or save some, subvert this future garden by reinstating them in the spring? 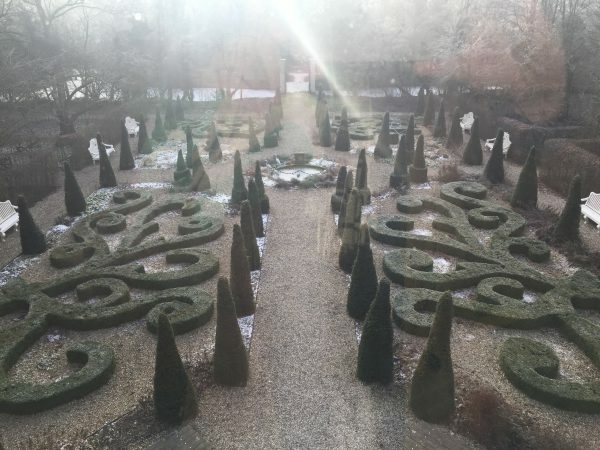 You are most welcome to join us for a pint or a cup of gluhwein at the cabin annex greenhouse, that was built as a part of this project, in the garden of Huize Frankendael. Come dig with us!